Everywhere we look these days Amy and I are seeing double! In the form of twins, that is. 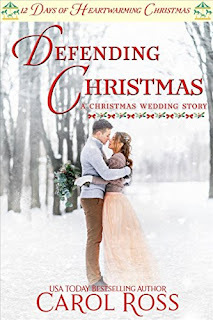 From the Return of the Blackwell Brothers series to our upcoming Holiday releases in the 12 Days of Heartwarming Christmas anthology, Amy and I have been talking and thinking and writing about twins. All this twin-ness means we’ve picked up some interesting tidbits. As if twins aren’t already super cool as it is, here are some fun facts we thought were worth repeating. Almost completely identical, but not quite! While the DNA make-up of identical twins is 99.9% the same, they have different fingerprints and bite marks. There are 7 different types of twins. That twin bond is real! 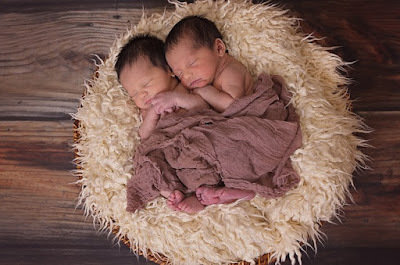 Studies show that twins begin interacting in the womb as early as 14 weeks, seemingly being as gentle to one another as they are to themselves. Fraternal twins can be half-siblings. Although rare, it is possible for twins to have two different dads. Twinsburg, Ohio hosts TwinsDay Festival every year, the world’s largest annual gathering of twins. 2018 marks the 43rd year for this celebration. If you want a twin, be a twin. 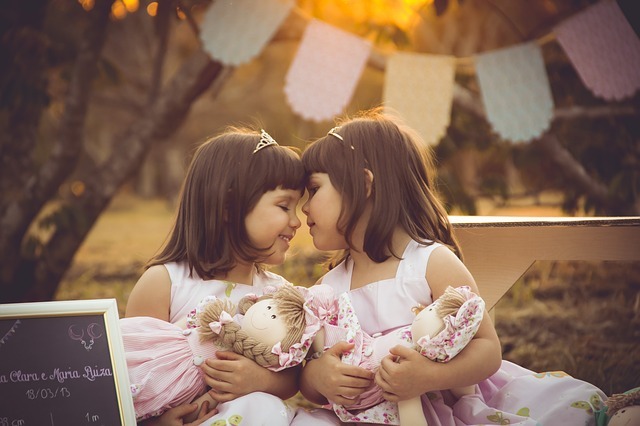 Twin girls are twice as likely to give birth to twins themselves. By waiting until your 30’s to get pregnant when your chances of conceiving twins increases. And drinking your milk. Studies suggest that women who consume dairy are more likely to have twins. Here's more info on these fascinating findings click here. Fellow Heartwarming author Amy Vastine is married to an identical twin! The Return of the Blackwell Brothers series has a whole lot of twins going on! In Amy’s book, The Rancher’s Fake Fiancée (book 4), hero Tyler Blackwell is a twin. Anna J Stewart writes about his twin, Chance Blackwell, The Rancher’s Homecoming (book 5). Cari Lynn Webb and Melinda Curtis feature twin heroes in The Rancher’s Rescue (book 3) and The Rancher’s Redemption (book 4). And The Rancher’s Twins (book 1), my hero Jon Blackwell has twin girls. And still Amy and I couldn’t get enough! We are excited to bring you identical twin sisters, Jax and Evelyn Marshall, in the upcoming 12 Days of Christmas stories. While these two sisters adore each other, they are different in very fun ways! 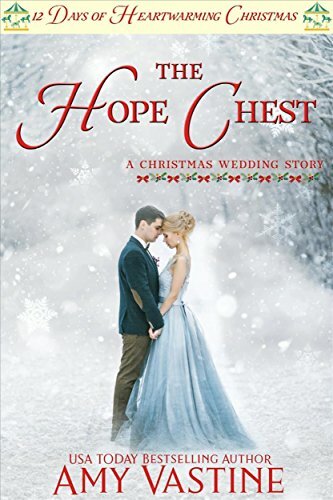 As the maid of honor for a Christmas Eve wedding, Evelyn Marshall plans to give the bride and groom something special - a hope chest that they'll want to pass on down through the generations. The only problem is that the bride didn't give her much time to plan for such a gift. When Evelyn's rush order gets cancelled, a friend suggests the help of the new high school woodworking teacher. Felix Spencer came to Christmas Town to start over after the end of his marriage. He has no desire to let anyone get close again. Evelyn's request is easy to turn down until one of his wayward students shows some interest in helping out. 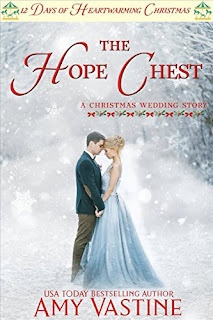 Can a troubled teen and a hope chest bring these two opposites together? In Christmas Town, anything is possible! For more information on Amy Vastine & Carol Ross, including a complete list of their books, please visit their websites! What about you guys? 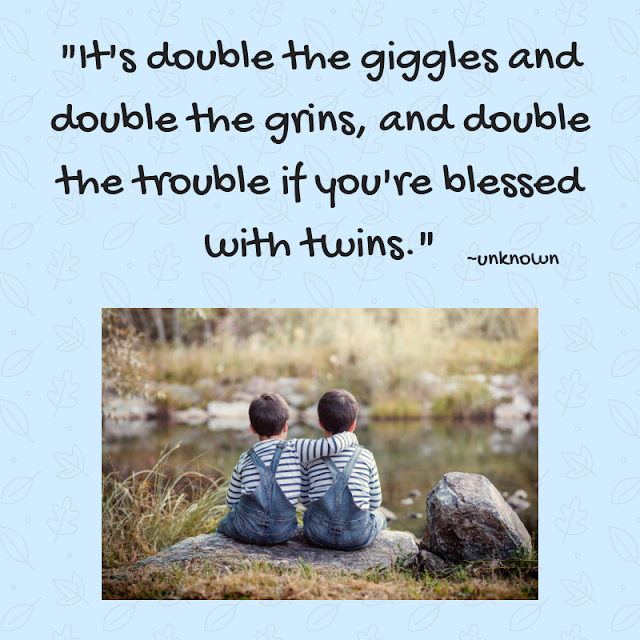 Do you have any twins in your life or maybe some fun double-the-trouble stories to share? Hi, Cathy! I've read that statistic, too, and I can understand why you'd stop at two kids. Lol. I think it would awesome if your daughter had twins! Wouldn't it be fun to be a grandma to twins? I have twin grand-daughters. My youngest daughter. She and husband have the only twins on either side of the family that we can tell. The girls aren't identical and in fact are different in many ways. But they do share that bond. They're in college now, but chose different colleges and have different life interests. It's fun being their grandmother. Hi Roz! How fun to be twin grandma! I'm glad they are off doing their own thing but staying close. I feel so lucky to have a connection with my sisters. I can't imagine how it would feel to have a twin! This is so interesting! I had no idea there were so many different types of twins. I'm still not sure I understand how that half-identical thing happens. There were three sets of twins in my high school class of 104, two fraternal and one identical, and I always thought they were fascinating. Thank you, Beth! This has been some really fun research. That seems like a lot twins for such a small class. My graduating class had 101 and there were no twins. I can attest to the strong bond between twins. Fraternal girl twins made the first four years of my elementary a daily nightmare. The one was especially bad, and could rope the other into doing all sorts of nastiness. I stood up to the dominant one in my fifth year once I realized she wasn't as witty as me, and that pretty well took care of the problem. So yeah, twins can be heroes, but they can also make for villains, too. I have identical twin aunts and I could never tell them apart. Ever! Sometimes, their own children couldn't either! Wow, LeAnne, that is so cool. It seems like it often gets easier to tell twins apart as they get older. It would be interesting to talk to their kids and see how it felt to have a mom who looked so much like their aunt. Such a fun idea to write about twins! Twins don't run in my family, but one of my son's good friends has a twin. Those two kids are so cute together! Thanks, Claire. It's been fun to read about twin stuff. There really is something extra cute about them.